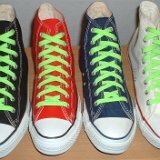 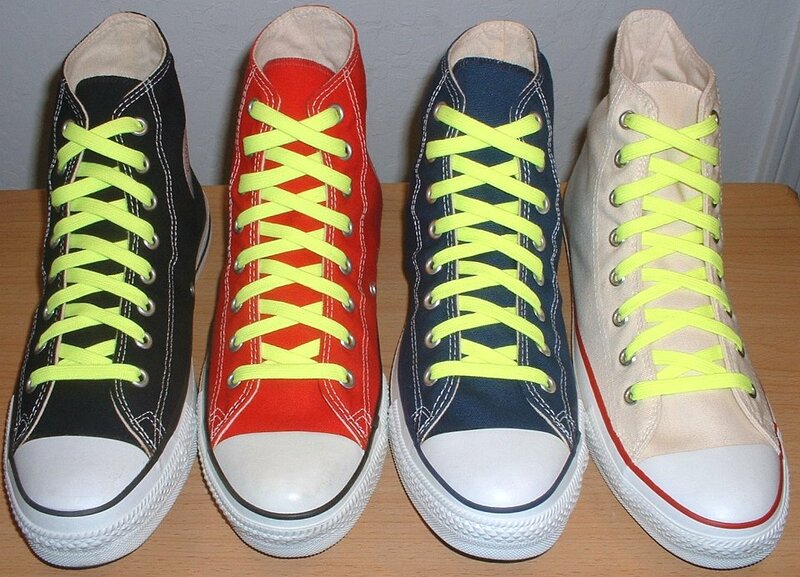 Neon Lime, Neon Orange, Neon Pink, Neon Yellow, and Rainbow Shoelaces shown on pairs of high top and low cut chucks. 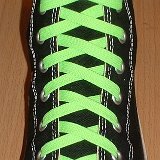 1 Classic Athletic Neon Shoelaces on Chucks Black high top with neon lime laces. 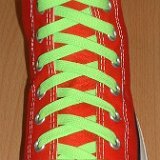 2 Classic Athletic Neon Shoelaces on Chucks Red high top with neon lime laces. 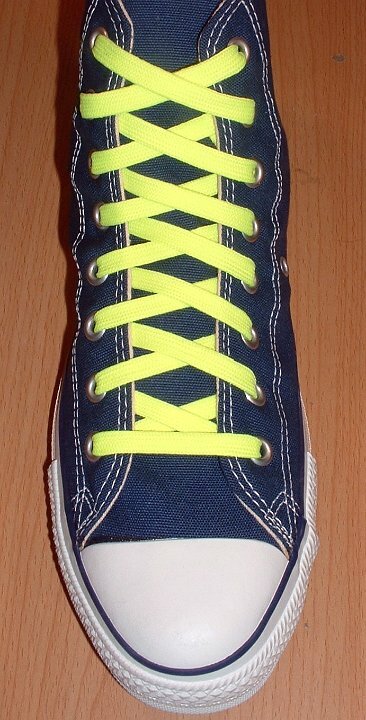 3 Classic Athletic Neon Shoelaces on Chucks Navy blue high top with neon lime laces. 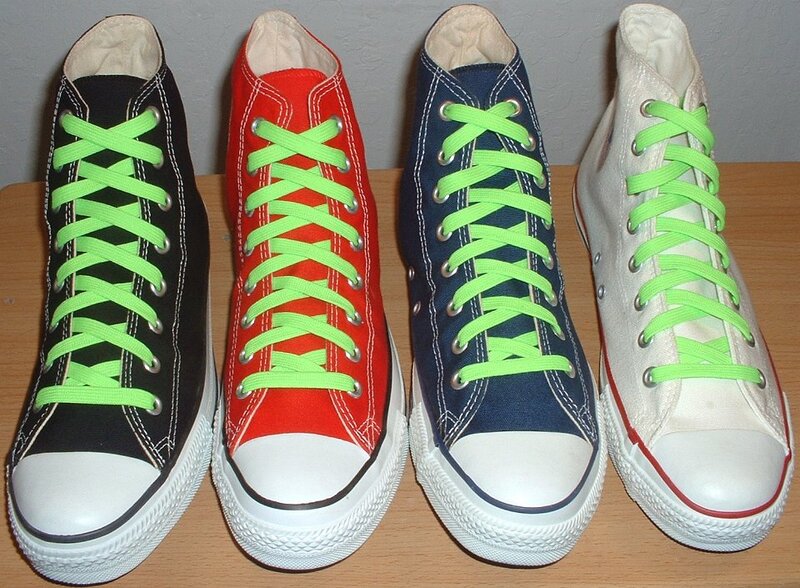 4 Classic Athletic Neon Shoelaces on Chucks Optical white high top with neon lime laces. 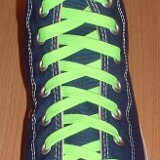 5 Classic Athletic Neon Shoelaces on Chucks Core color high tops with neon lime laces. 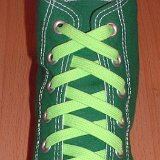 6 Classic Athletic Neon Shoelaces on Chucks Celtic green high top with neon lime laces. 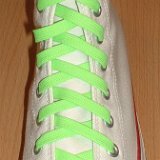 7 Classic Athletic Neon Shoelaces on Chucks White graffiti high top with neon lime laces. 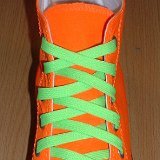 8 Classic Athletic Neon Shoelaces on Chucks Neon orange high top with neon lime laces. 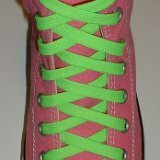 9 Classic Athletic Neon Shoelaces on Chucks Pink high top with neon green shoelaces. 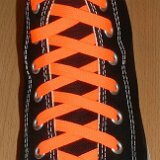 10 Classic Athletic Neon Shoelaces on Chucks Black high top with neon orange laces. 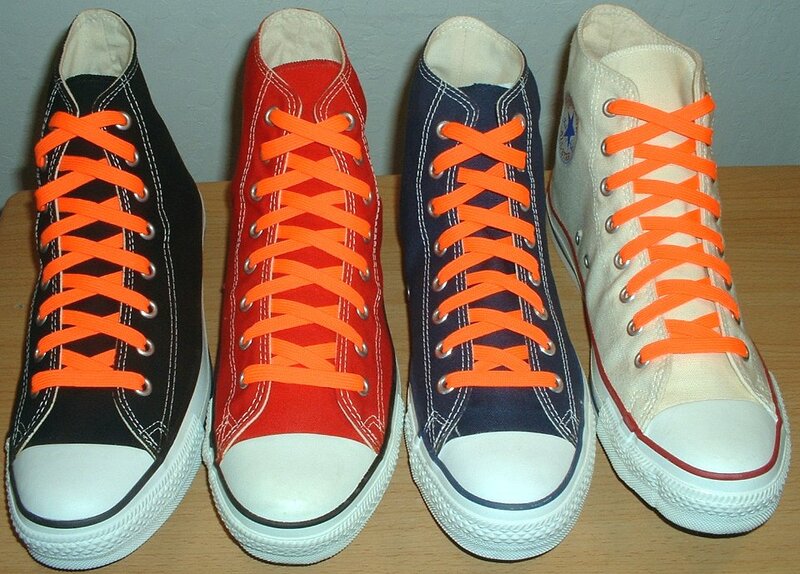 11 Classic Athletic Neon Shoelaces on Chucks Red high top with neon orange laces. 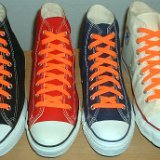 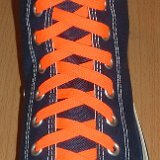 12 Classic Athletic Neon Shoelaces on Chucks Navy blue high top with neon orange laces. 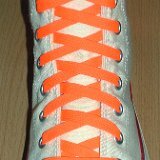 13 Classic Athletic Neon Shoelaces on Chucks Natural white high top with neon orange laces. 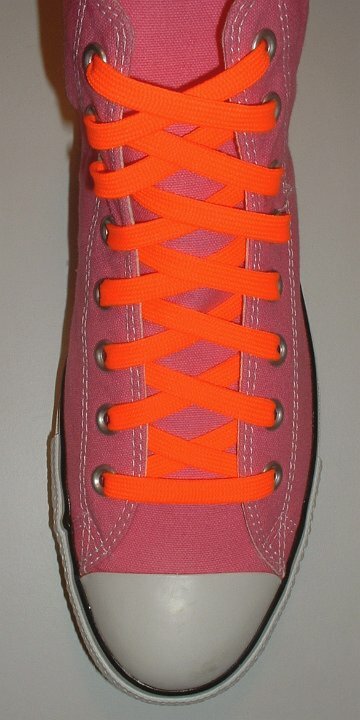 14 Classic Athletic Neon Shoelaces on Chucks Core color high tops with neon orange laces. 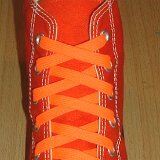 15 Classic Athletic Neon Shoelaces on Chucks Orange high top with neon orange laces. 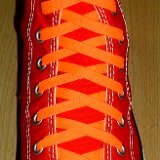 16 Classic Athletic Neon Shoelaces on Chucks Neon orange high top with neon orange laces. 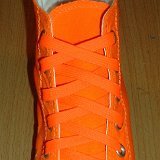 17 Classic Athletic Neon Shoelaces on Chucks White graffiti high top with neon orange laces. 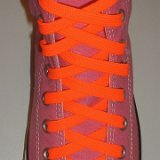 18 Classic Athletic Neon Shoelaces on Chucks Pink high top with neon orange shoelaces. 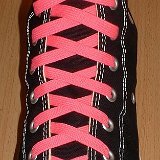 19 Classic Athletic Neon Shoelaces on Chucks Black high top with neon pink laces. 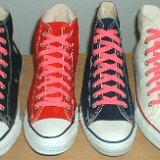 20 Classic Athletic Neon Shoelaces on Chucks Red high top with neon pink laces. 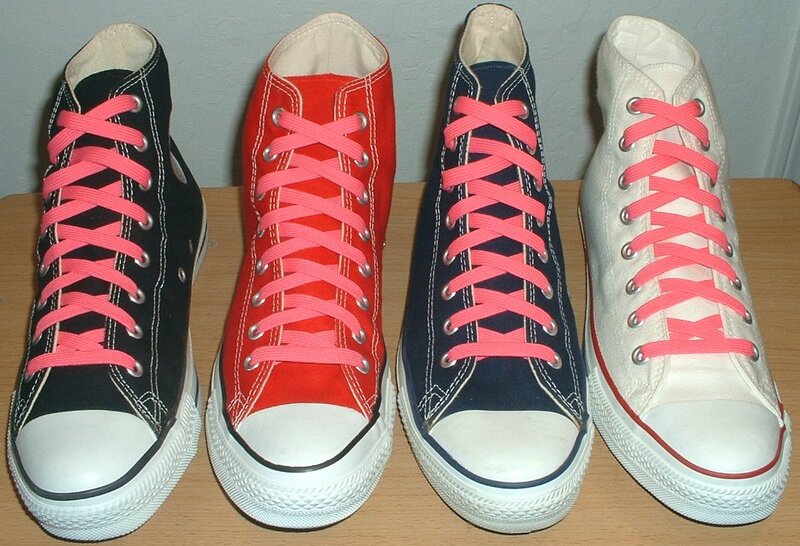 21 Classic Athletic Neon Shoelaces on Chucks Navy blue high top with neon pink laces. 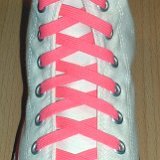 22 Classic Athletic Neon Shoelaces on Chucks Optical white high top with neon pink laces. 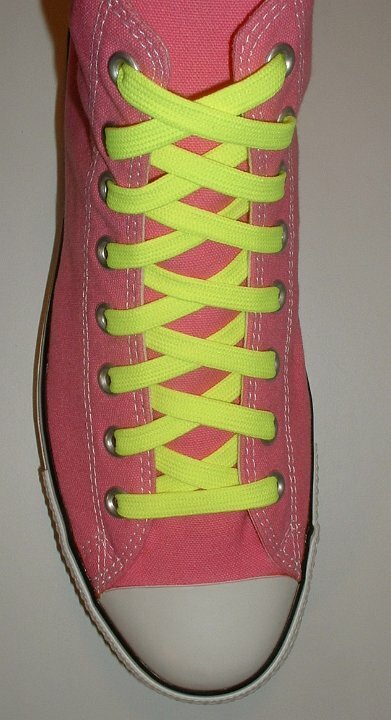 23 Classic Athletic Neon Shoelaces on Chucks Core color high tops with neon pink laces. 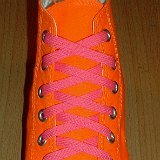 24 Classic Athletic Neon Shoelaces on Chucks Neon orange high top with neon pink laces. 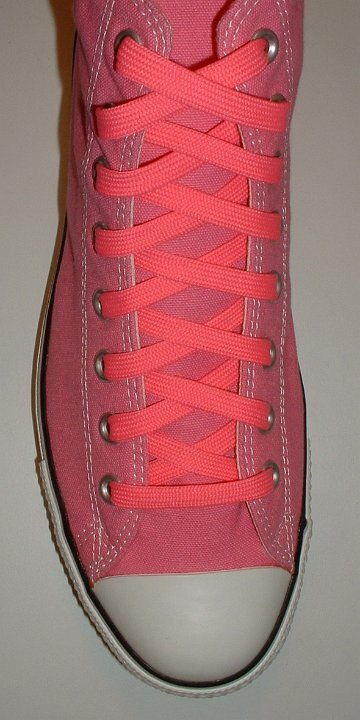 25 Classic Athletic Neon Shoelaces on Chucks Maroon high top with neon pink laces. 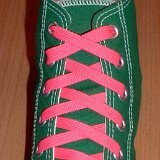 26 Classic Athletic Neon Shoelaces on Chucks Celtic green high top with neon pink laces. 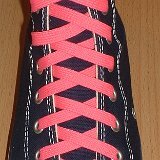 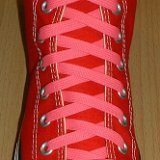 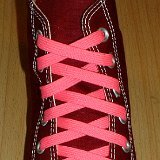 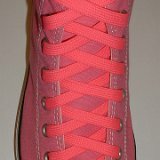 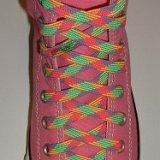 27 Classic Athletic Neon Shoelaces on Chucks Pink high top with neon pink shoelaces. 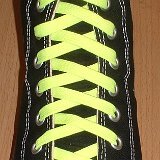 28 Classic Athletic Neon Shoelaces on Chucks Black high top with neon yellow laces. 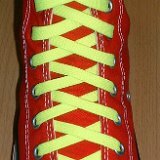 29 Classic Athletic Neon Shoelaces on Chucks Red high top with neon yellow laces. 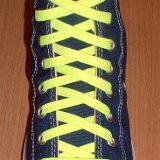 30 Classic Athletic Neon Shoelaces on Chucks Navy blue high top with neon yellow laces. 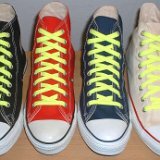 31 Classic Athletic Neon Shoelaces on Chucks Natural white high top with neon yellow laces. 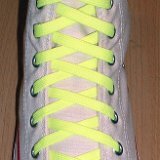 32 Classic Athletic Neon Shoelaces on Chucks Core color high tops with neon yellow laces. 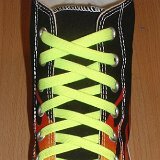 33 Classic Athletic Neon Shoelaces on Chucks Black flames high top with neon yellow laces. 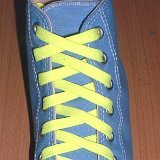 34 Classic Athletic Neon Shoelaces on Chucks Carolina blue high top with neon yellow laces. 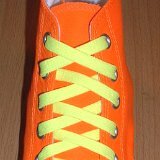 35 Classic Athletic Neon Shoelaces on Chucks Neon orange high top with neon yellow laces. 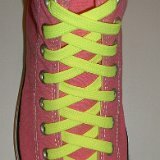 36 Classic Athletic Neon Shoelaces on Chucks Pink high top with neon yellow shoelaces. 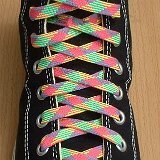 37 Classic Athletic Neon Shoelaces on Chucks Black high top with rainbow laces. 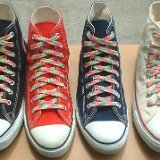 38 Classic Athletic Neon Shoelaces on Chucks Red high top with rainbow laces. 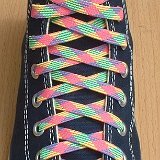 39 Classic Athletic Neon Shoelaces on Chucks Navy blue high top with rainbow laces. 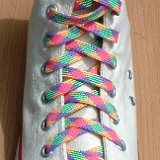 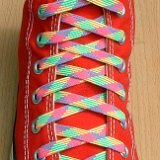 40 Classic Athletic Neon Shoelaces on Chucks Optical white high top with rainbow laces. 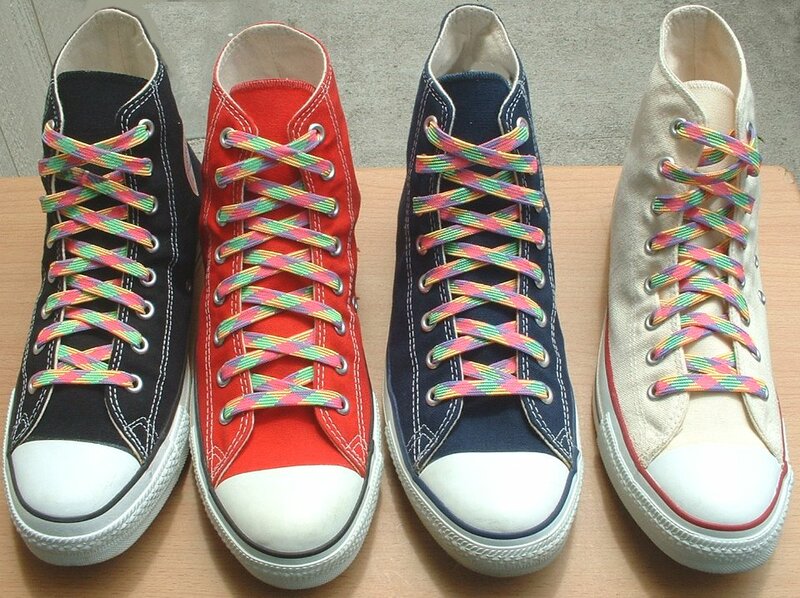 41 Classic Athletic Neon Shoelaces on Chucks Core color high tops with rainbow laces. 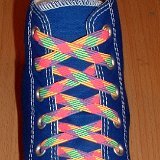 42 Classic Athletic Neon Shoelaces on Chucks Royal blue high top with rainbow laces. 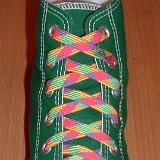 43 Classic Athletic Neon Shoelaces on Chucks Celtic green high top with rainbow laces. 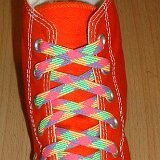 44 Classic Athletic Neon Shoelaces on Chucks Orange high top with rainbow laces. 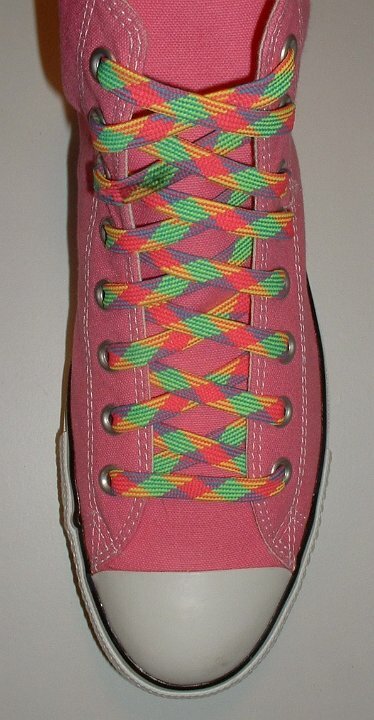 45 Classic Athletic Neon Shoelaces on Chucks Pink high top with rainbow shoelaces.